Le programme de l’Aster prévoie que SNMCMG1 quitte Copenhague ce lundi pour rejoindre Gdansk le samedi 13 mars. Il sera possible de suivre la flotte sur une bonne partie du trajet. Plusieurs conditions sont nécessaires pour suivre un navire. Le principal est évidemment qu’il soit équipé du système AIS, C’est obligatoire pour tous les navires de plus de 300T et les navires transportant des matières polluantes ou dangereuses. Il faut aussi que le système soit allumer, que l’information envoyé soit suffisante pour reconnaitre le type de navire. Mais le guide dans le canot avec les touristes n'était vraiment pas très content lui !!! NATO’s Mine Countermeasures Group 1 (SNMCMG1) conducted training at the start of March en-route to Copenhagen where they remained for 3 days. The training was designed to improve interoperability within the Group and develop specialist knowledge in various subject fields. Despite the unfavourable weather conditions the training focusing on communication exercises, manoeuvering and transfer of crew members between ship by sea boat was successfully completed. The flagship, ORP Kontradmiral Xawery Czernicki also had an opportunity to conduct winching operations with a SAR helicopter from the Royal Danish Navy allowing the ship to practice her flight deck skills. The flagship entered Copenhagen harbour early on Friday 5 March followed by the other vessels in the group, HMS Walney, BNS Aster and HNLMS Middelburg. In the first days of March, Standing NATO Mine Countermeasure Group 1 conducted exercises during their transit through the North Sea, Skagerrak and Kattegat to Copenhagen, Denmark. From Friday 5 to Sunday 7 March 2010; the Group were berthed in Copenhagen preparing for their next challenge – Exercise Basic Unit Training/Advanced Unit Training 2010 (Exercise BUT/AUT 10). COMSNMCMG1 also visited the Mayor of Copenhagen and the Naval Regional Officer Copenhagen. SNMCMG1 conducting training en-route to Copenhagen during the first days of March. The training is designed to improve interoperability within the group and develop specialist knowledge in various subject fields. Despite the unfavorable weather conditions along our route, training was achieved, such as Communication Exercises, Manoeuvring Exercises and Crosspoll” – the transfer of crew members, by sea boat, between ships whilst underway, in this case in Kattegat. The Flag Ship also had an opportunity to conduct winching operations with a SAR Helicopter from the Royal Danish Navy, allowing the ship to practice her flight deck skills. SNMCMG1 entered Copenhagen harbour at 0900 local, Friday 5 March 2010, the Command Ship, ORP Kontradmiral Xawery CZERNICKI, the first unit to berth, followed by MCMV’s BNS ASTER, HMS WALNEY and HNLMS MIDDELBURG. The Group were closely followed into harbour by a succession of German units; all of which were present for Exercise BUT/AUT 10. 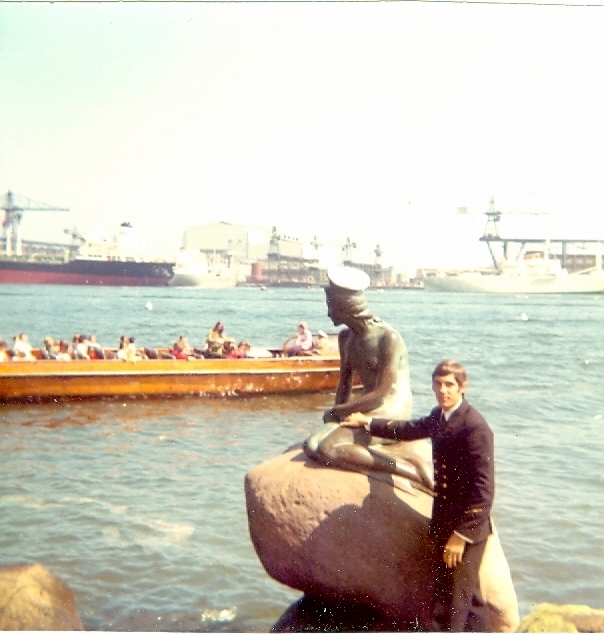 The port visit to Copenhagen was also an opportunity for SNMCMG1 crews to take some well deserved rest and recuperation, enjoying the spectacular sights and culture of the city. COMSNMCMG1 met with the Mayor of Copenhagen and the Naval Regional Officer Copenhagen, thanking them on behalf of the Group for the kind hospitality afforded to SNMCMG1 in the City of Copenhagen. SNMCMG1 sailed on Monday 08 March at 0900, with 3 German MCMV’s in company, heading for their assigned exercise areas fully prepared for the challenges ahead. NATO’s Minehunters joined units from the Danish and German navies to conduct warfare exercises in Danish territorial Water. The exercise, organised by the Royal Danish Navy ran for three days from 8th – 10th March and provided an excellent opportunity for the Group to develop a broad range of warfare skills in preparation for forthcoming exercises and operations. The main aim for the group was to further develop operational capability across the various warfare spheres whilst conducting a mine countermeasures exercise in the challenging environment of Danish waters. Unfavourable conditions forced the Group to work hard to complete their assigned tasks but this was achieved and a number of exercise mines were located and recovered. SNMCMG1 (Standing NATO Mine Countermeasures Group 1) detached from the main exercise group and began their transit to Gdansk, Poland in the early hours of 11th March. Shortly afterwards, they were joined by the German Minehunter FGS Passau. FGS Passau together with the other Minehunters will conduct Group training, operational and international exercises in the forthcoming weeks. Their first undertaking will be Polish Route Survey Operations during which SNMCMG1 will operate alongside four Polish Minehunters. The exercise starts today when the NATO group meets up with the Polish units in the Bay of Gdansk. March. The NATO group were joined by Danish minehunters HDMS Makrelen and HDMS Havkatten as well as the German minehunters FGS Siegburg, FGS Sulzbach-Rosenberg and FGS Datteln. 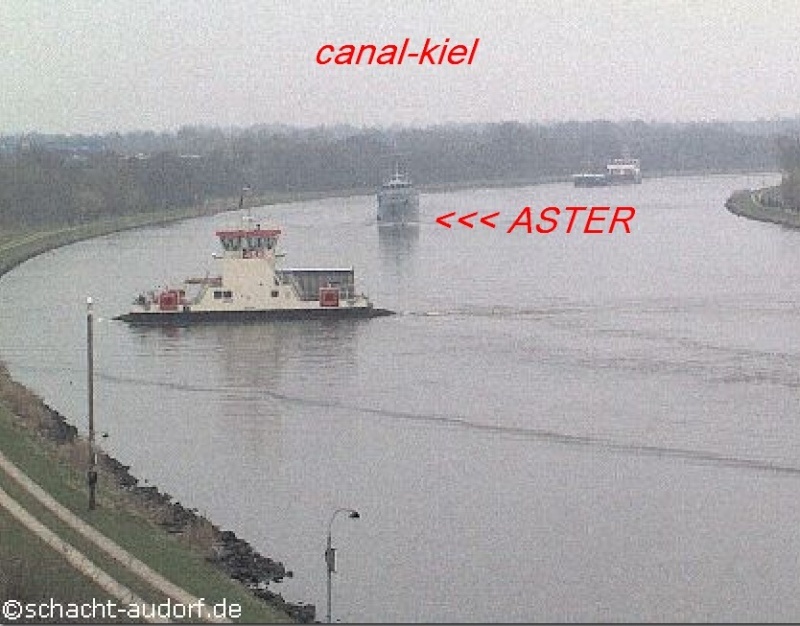 L'Aster est toujours en panne à Gdynia ! question : vous etes toujours a quai en pologne? réponse : oui, et encore pour quelques jours d'ailleurs!!! "L'Aster est toujours à Gdynia,pour une panne sur le sonar. Transit demain soir vers warnemunde. Arrivée prévue samedi dans la matinée." – Exercise Brilliant Mariner 2010, the NRF 15 Certification Exercise. Warnemuende Naval Base where they conducted a port visit 19 – 22 Mar 10. The Group sailed Monday 22 March 2010 to conduct training in the Mecklenburg Bight, executing a detailed programme and making the final preparations for Exercise Brilliant Mariner 2010. SNMCMG1 remained in the Mecklenburg Bight until 2 Mar 10, when they moved to alternative training areas where ships will focus on Mine Warfare and Diving training. The highlight of the past week was our interaction with Two German, Gepard Class, Fast Patrol Boats (FGS HYAENE and FGS WIESEL) from the 7th FPB Squadron. valuable training for all involved. This period proved to be extremely enjoyable and highly successful and most certainly prepared us for the challenges to come during our forthcoming exercises.